Character - Witch. Points: 8. Health: 7. Action - Reroll a die. Deal 1 damage to this character. 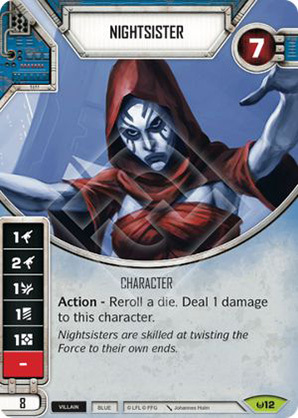 Nightsisters are skilled at twisting the Force to serve their own ends.